What's Stirring, November 19, 2013? One can practically see the new fibers being woven into a Central Kentucky regional food system these days. Recent evidence comes from existing farms, stores, and processors that are expanding their offerings. Among the most thrilling are the changes the Tweens Nutrition and Fitness Coalition's long-term work to encourage and support neighborhood stores to sell healthier foods, including local foods. 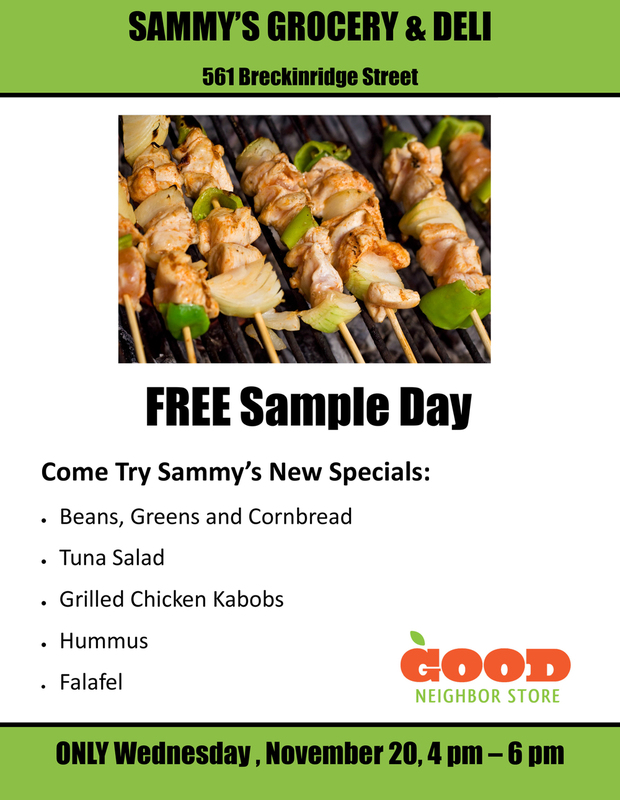 In addition to the transformations at Lexington Market: East End, now Sammy's, a second neighborhood store, begins testing neighbors' interest in healthier, scratch-cooked food with a free sampling day Wednesday, November 20. The Country Rock Sorghum makers have added local maple syrup to their lineup. Lexington Farmers Market will stay outdoors all winter on Saturdays at the present pavilion location on West Main Street, and...big news for fruit lovers...beloved Reed Valley Orchard, with a flush of fruit still on hand, plans to be part of the winter market. Good Foods Market now offers excellent Katahdin lamb from Four Hills Farm fresh. Well-raised meats are becoming more available in the Bluegrass, but most are frozen. This is a big step for Good Foods and Four Hills. Congratulations and gratitude to all! Alfalfa Restaurant, Good Foods Market & Café, Wallace Station and Windy Corner Market sponsor Savoring Kentucky.